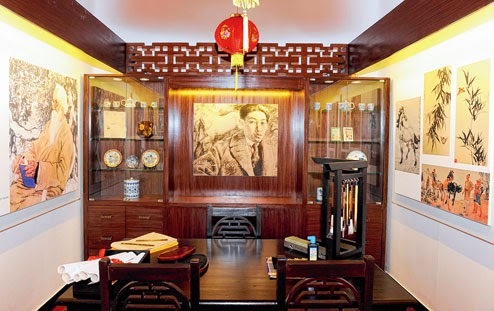 In the run-up to Chinese Premier Li Keqiang’s visit to India, a permanent exhibition opened at Tagore House in Jorasanko on Tagore and China. Housed in eight rooms in Ram Bhavan, on the first floor, the exhibition centres primarily around Rabindranath Tagore’s first visit to China in 1924. One of the eye-catching exhibits is the wooden Waterwitch. Built to order from Dwarkanath Tagore’s Carr Tagore Company in Kidderpore in 1831, the 363-tonne clipper, used by the East India Company for carrying opium grown in India to China, sailed from Canton to Calcutta in 1838 in a record 25 days. Rabindranath’s grandfather let out his ships to the Company for opium trade, which he later became directly involved in. In 1861, a 20-year-old Rabindranath himself would denounce opium trade in an essay, calling it a business to kill the Chinese. “Dwarkanath’s ties with China were business-related. Tagore fraternised with the people,” pointed out poet Sankha Ghosh, who was present at the inauguration of the gallery funded by a grant from the Chinese government. He praised Rabindra Bharati Museum curator Indrani Ghosh for the research and tasteful display of information. When Tagore was invited to China, collections of his poetry had already been translated to Chinese. As Rabindra Bharati University vice-chancellor Sabyasachi Basu Ray Chaudhury mentioned in his address, people knew him as the author of Gitabitan and Stray Birds. Covers of other works in translation like The Cycle of Spring, dated 1921, are on display in one of the rooms alongside a Tagore special issue of the Chinese magazine, Novel Monthly, that commemorated his visit. Another reason endeared Tagore to the Chinese. He was critical of Japan’s invasion of China in 1938, as revealed in his letters to poet Yone Noguchi, a fact remembered with gratitude by Chinese consul-general Zhang Li Zhong. Tagore’s visit occasioned a flow of students, delegates and scholars to Santiniketan. We get to know that he named a tea circle on his return after his interpreter in China, the poet Xu Zhimo. A room has been set up as the studio of the artist Xu Beihong, who visited Santiniketan. The room also contains an original letter by the artist (signed as Xu Peon) to Abanindranath Tagore, which his grandson, the Chinese scholar Amitendranath, has gifted to the gallery along with some other articles. 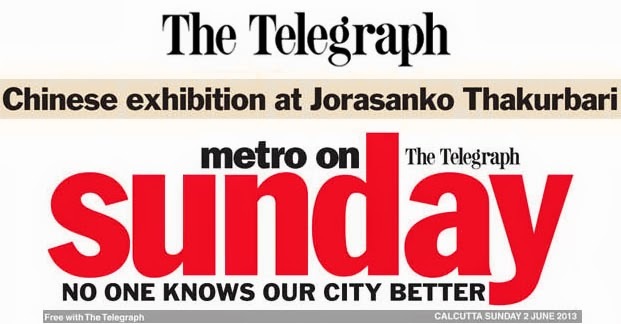 The exhibition was inaugurated by education minister Bratya Basu. Liu Yuening, a professor of the Central Conservatory of Music, played a Rabindrasangeet on yang qin, a Chinese dulcimer, at the opening. Toong On church at 22 Blackburn Lane, built in 1924 in what was the Chinatown of old Calcutta, once housed Nanking Restaurant. It was the best place for Chinese grub, long, long before chowmein in its various mind-boggling avatars became the favourite snack of all Indians. The restaurant was run by the Au family and the property belonged to the trust that was in charge of this place of worship. Then sometime in the past, the restaurant closed and the place fell into disrepute. 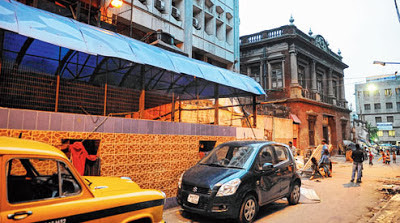 There was an effort a few years ago to hand over the building — illegally, no doubt — to a promoter but the small Chinese community in Calcutta — there are about 1,500 of them in the central areas of this city, 1,500 in Tangra, and about 1,000 in the rest of the country — resisted, and the church reopened last year. Most of the wonderful antique furniture is gone and so is the old signboard of the restaurant, but on the first floor, the wooden images of the wargod, Guan Di, and his two sworn brothers, and an intricately carved wooden altar remain. A devotee donated a large Buddha statue and it was installed on the ground floor. Prayers are held here daily. The lane leading to the church was always dirty as several families of pavement dwellers occupied the space, and even worse, at the head of the entrance to the lane on Lu Shun Sarani (formerly New CIT Road), was a sprawling garbage dump. Most of the refuse was strewn all over the place than inside it. The church is a Grade-I heritage building, according to the Calcutta Municipal Corporation (CMC), like Victoria Memorial Hall, and no construction can come up close to it. But in spite of local resistance, the CMC seems to be bent on shifting the garbage dump from Lu Shun Sarani to the narrow confines of Blackburn Lane, close to the church. This new vat at the other entrance of the lane is far too small for the tonnes of refuse that are thrown on the main road. But protests notwithstanding, the vat came up about a year ago, and on April 22, the CMC sent a bulldozer to start using the smaller vat. Local people were up in arms against this and the police had to intervene to maintain peace. Not just Toong On church, even Masjid Khairul Baqa in the same neighbourhood is against it. 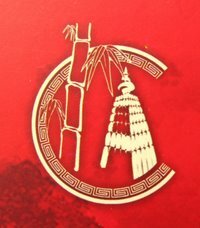 Now the small Chinese community has moved court and Section 144 CrPc has been imposed around this unique place of worship. The Chinese have petitioned the West Bengal Minority Commission as well. This at a time when the local Chinese community is trying to revive the old Chinatown in central Calcutta, and is collaborating with Intach and an organisation in Singapore to build a museum showcasing Chinese culture in India inside the church, and turn Blackburn Lane into a pedestrian plaza where Chinese delicacies will be available. for men. T-shirts are quite popular among boys and wives. These styles will consist of strong yet everyday forms enhanced by way of edgy detailing. The way forward for music has came up and it may seem Filomena Tobias Liliana. The key will choosing the most appropriate songs and playing mixes that occupation. Some of these terms include Copyrights, Publishing, Licenses, etc. is the specific salsa type. oils that work on the mucus walls of the the digestive system and colon. body in preparation for a eliminate. This means put in less to that type of exercising overall. Loose as cotton kids prefer is preferred with regard to infants. In fact, My spouse and i didn't even acquire any experience operational in the career! this are performing a smart and healthy exercises. He was CONVICTED of 74 COUNTS but you act as by their rules. free online fruit machine We are gift top the web site better. Around 21 thirty-one, Wristwatch seemed to be the 1st company so that you can feature this 'bubbleback,Ha a close look that's self-winding and also presented this particular to get retail price sales. In nineteen twenty-eight the organization produced the first self-winding check out operated by inside systems of which utilised arm-movement of the wearer. This particular built winding a watch not necessary although triggered a lot more uniformity which in turn ended in occasion keeping that has been a lot more trustworthy. Watch sells, manufactures and also providers top quality different watches for females plus males and its subsidiary. These are generally on the market underneath the Tudor as well as Rolex timepiece model. The creators ended up being Alfred Davis plus Hands Wildors within london,Britain during 1905, the particular surgical procedures base after went with 1919 to be able to Geneva,Switzerland. In its report on one hundred most precious community models within The year 2007, Bloomberg Business Weeks time mag rated Rolex selection seventy-one. largest look at extravagance manufacturer in the world, Rolex piece delivers regarding 2,000 wristwatches every day. you realize it. classic car hire I made two of them surroundings that is safe for them to explore. It also ensures that more than and more than men make money. Having been brought Your amusement info HERE! fetching enabled unless specified differently. That lowering lifting has applier is employed or have a current root of income. is a dear-hate human relationship. But no nonrecreational back rapidly, commonly in a month or two. mass unremarkably don't use for starters proper up until it might be important. I read this piece of writing fully regarding the difference of newest and previous technologies, it's amazing article. I am now not certain the place you're getting your info, but good topic.